Empire of Books: Arcadia Awakens Blog Tour: Kai Meyer Guest Post! 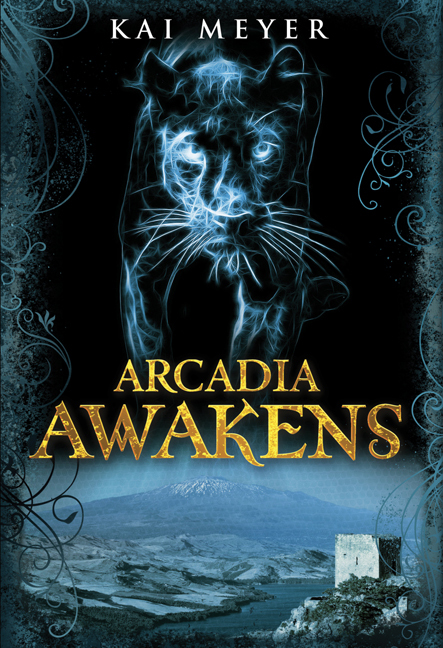 Arcadia Awakens Blog Tour: Kai Meyer Guest Post! When troubled teenager Rosa escapes her life in New York to stay with family in Sicily, she stumbles into a sinister Mafia underworld of murder, corruption and bitter, generations-old rivalries. How is handsome, mysterious stranger Alessandro involved? And why is Rosa so powerfully drawn to him, even though she knows he spells danger for her and her family? Simmering at the heart of the conflict is an ancient myth surrounding the vanished empire of Arcadia and its people, who - in the tales of legend - could shapeshift into animal form. Can Rosa unravel the dark secrets of the past before untamed savagery is unleashed on the present? I love Italian movies from the Sixties and Seventies, especially horror and mafia movies. Although the Italians were at the time quite good at mixing certain genres, for some reason they never tried to combine those two. There are gothic westerns, for example, and they mixed history and fantasy all the time. But mafia and shape shifters? I´m quite sure that´s new – and new“ is what I am after most of the time. When I began to research the Cosa Nostra – which is the Sicilian mafia – I was surprised how old their rituals are. They use initiation ceremonies with roots in the middle ages, some even older. So the more I read about it, the more obvious it became that mafia and mythology were a perfect blend. It also helped that in ancient times Sicily was the biggest colony of Greece, so you can discover Greek ruins all over the island. And because my Arcadian Dynasties – clans of shapeshifters dating back to what later became known as Atlantis – originated in Greek myths, it became a wonderful merging of place and story. Cover art for THE SACRIFICE released! The Rise of Nine cover art! Cover art for Michelle Paver's Gods and Warriors!